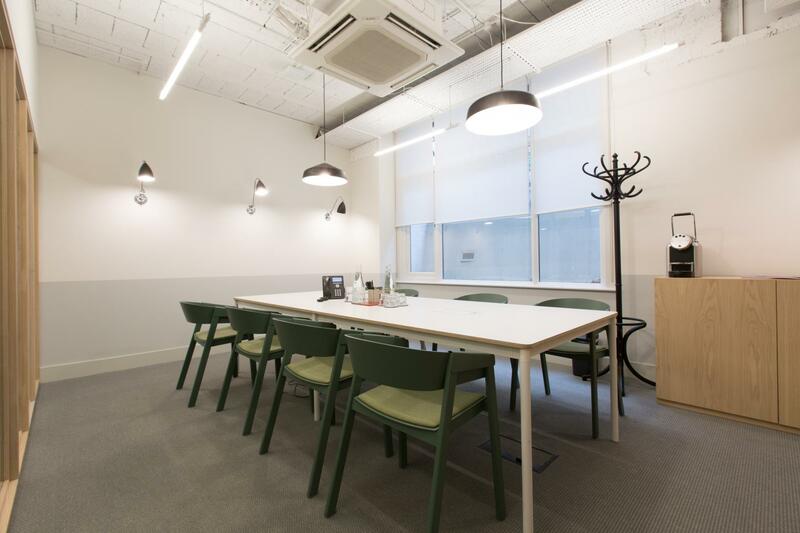 The building has been recently fully refurbished working with architects Scott Browrigg to provide a clean and sharp design throughout. 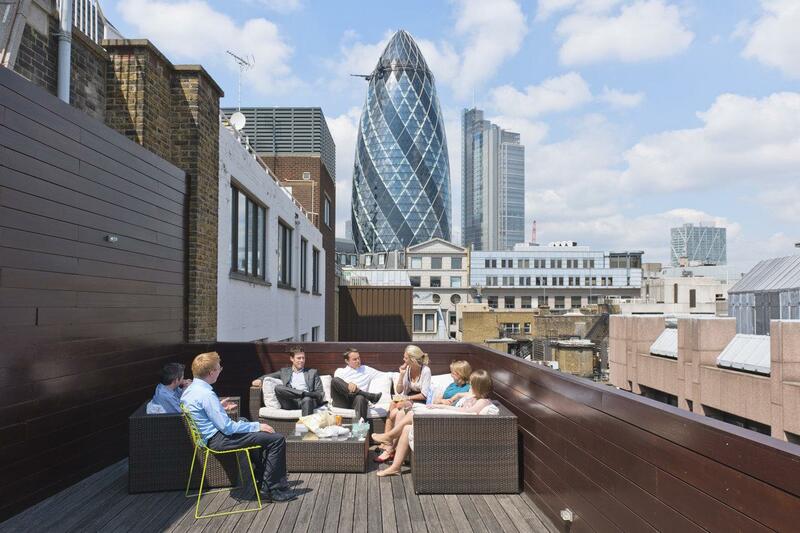 There’s a great roof terrace for all to use and The Lounge area and break-out space offer a variety of spaces to work, meet and eat. And there’s a Wii as well in case you’d prefer to play. 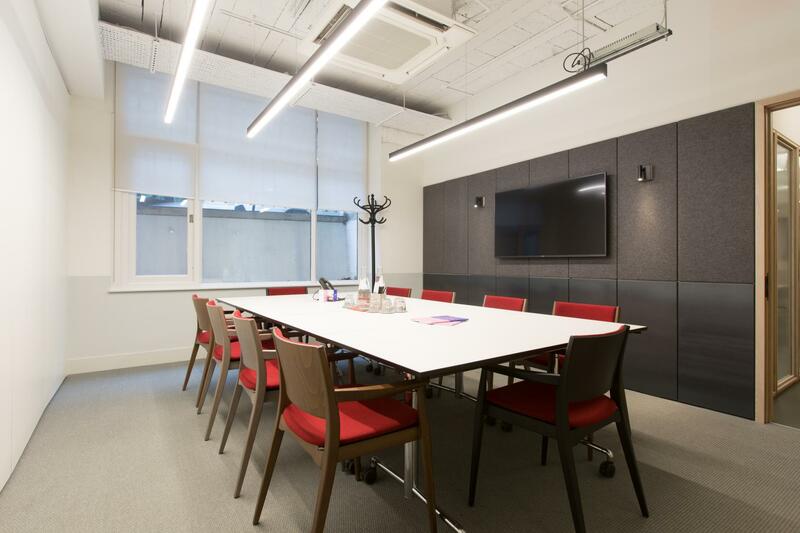 A rectangular room for 8 people with a wall-mounted LCD so if you’re looking for a classic boardroom style it’s the rooms for you. 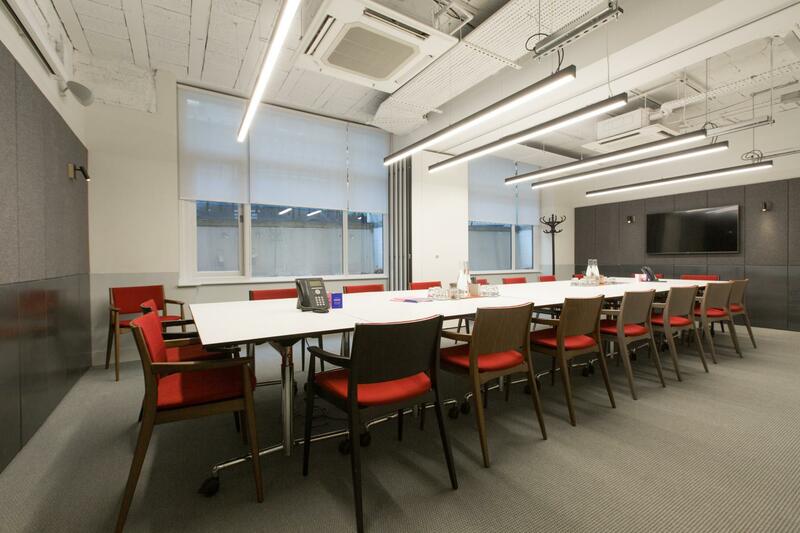 Room 2 and 3 can combine to make a 20 person boardroom with a mounted LCD projected. If you have an audience it’s equipped with both a wall mounted projector and a ceiling projector. It can fit 45 people theatre style for larger conferences and presentations. 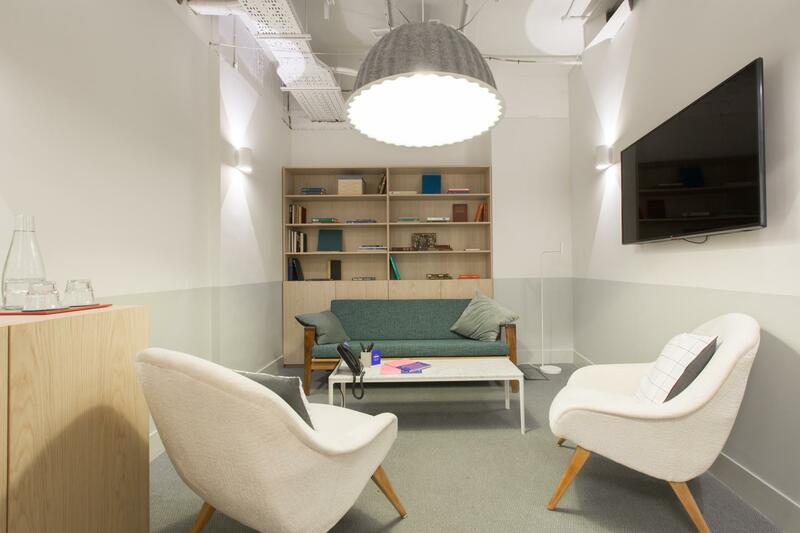 Perfect for team debriefs and interviews, Meeting Room 4 is an informal room with 2 armchairs and sofa - it’s suitable for up to 4 people. 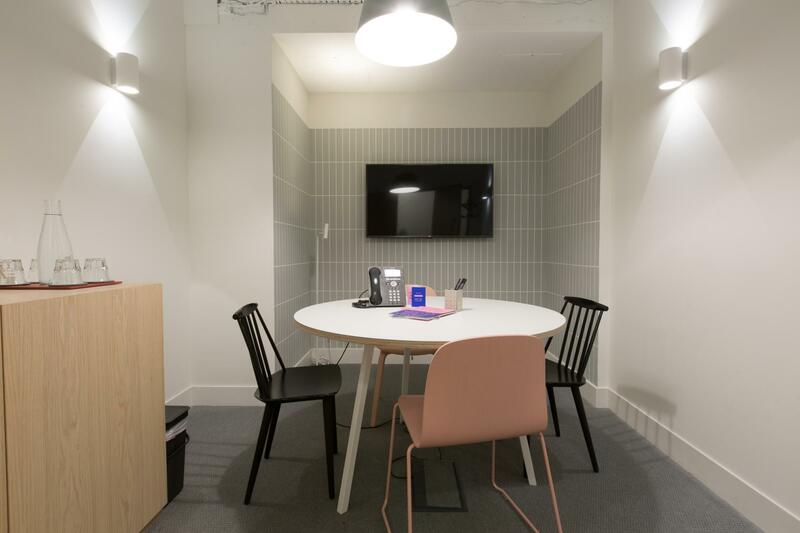 For a dynamic meeting, Meeting Room 5 has a moveable LCD screen and lends itself to small presentations, team meetings and collaborative work. It’s for up to 4 people. 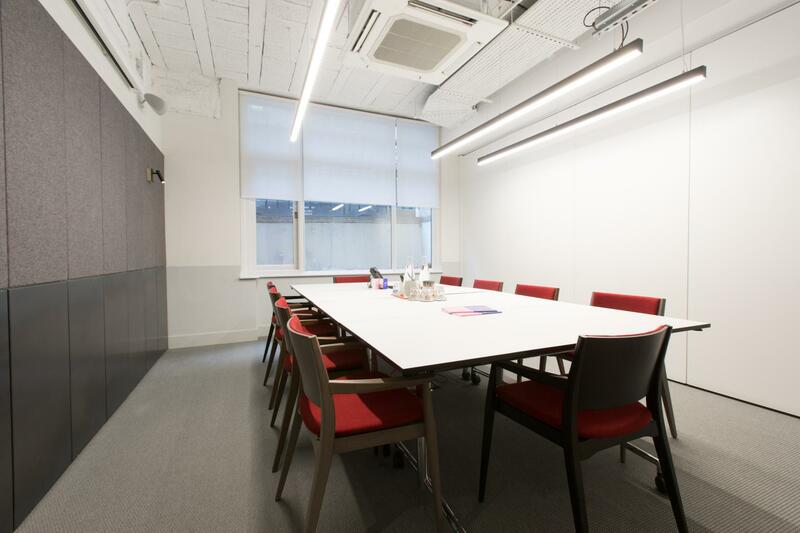 Our meeting room with the capacity of 10 people is perfect for boardroom meetings, presentations and small conferences. It was clean, modern, unobtrusive and quiet and the reception staff were professional and pleasant.